There's a lot of ridiculous gossip flying around the ol' world wide web on a daily basis, and we try our hardest to avoid stories about people's personal relationships. But every once in a while, there's something we can't help but post. 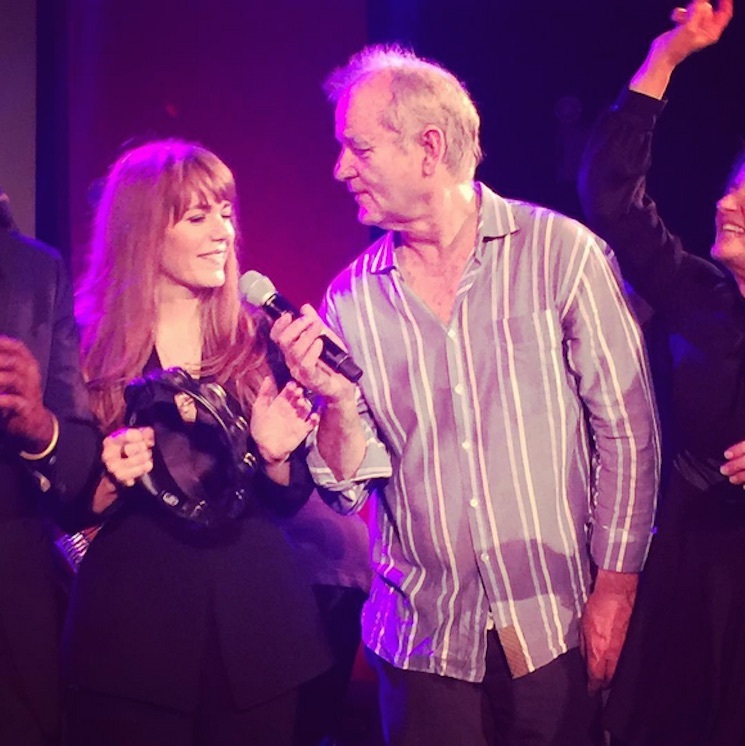 Take, for example, the latest rumour that comedic acting legend and music-festival chiller Bill Murray is supposedly dating former child star/current alt-country queen Jenny Lewis. Stereogum points to a Page Six report that suggests (albeit with very little evidence or facts) that Lewis is Murray's "current younger love interest." They also included the above image from Jenny Lewis's Instagram, taken from a recent after-party for Murray's latest film Rock the Kasbah. That's literally it, but it's more than enough for us to get stoked on this budding romance. To borrow Internet parlance for a moment, we ship them so hard. Whether or not they're dating for realsies, Jenny Lewis will lend her musical talents to Murray's forthcoming A Very Murray Christmas, which hits Netflix on December 4. Watch a trailer for the show below.